The NY Times has many virtues and some important flaws. Both were evident on the paper’s front page this week and there is a lot to be learned by what did and did not appear there. For decades, Republican conservatives have constructed and carried out extensive, well-planned, long-term communication campaigns to change public discourse and the way the public thinks. It has been done very effectively and, for the most part, not secretly. The NY Times finally began reporting on this effort on Thursday, November 21, 2013 in a fine piece by Jonathan Weisman and Sheryl Gay Stolberg. I am now back from giving a wide range of lectures in four countries in Europe. Sorry I missed the closing of the government, which was predictable. I’ll be posting soon. Latest talk at the Central European University on his neural theory. This is the second of two articles analyzing the mode of thought and the language in public discourse on Syria from the perspective of cognitive science and linguistics. Every language in the world has a way in its grammar to express direct causation: a local application of force that has a local effect in place and time. You pick up a glass of water and drink it: direct causation. You bomb a hospital, destroying it and killing those inside: direct causation. 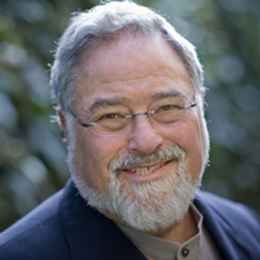 George Lakoff on WBEZ talking about Obama and Syria.